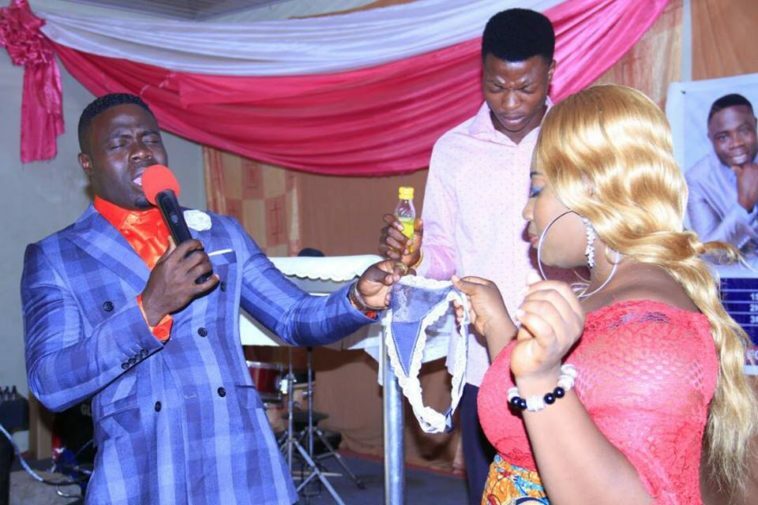 Few days ago the internet witnessed an amazing shock of shame after we shared a post of a trending lady whose pant was removed by an unknown pastor for the spirit of pregnancy to penetrate into her. Well we just got words from the lady identified as Piesie Asamoah Gifty who happens to be a Ghanaian actress. 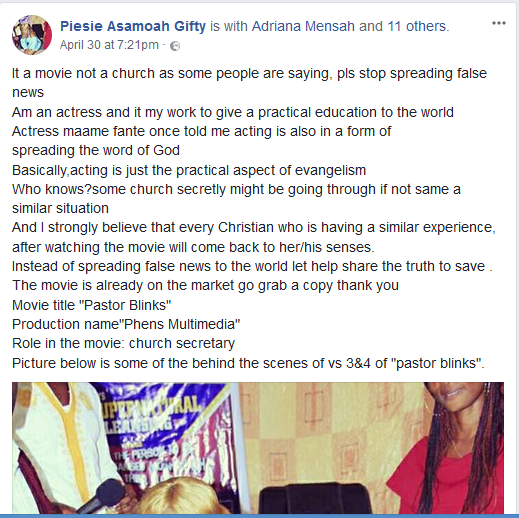 According to her, the above photo was taken from a film she's starred in titled "Pastor Blinks " and not some kind of a real life situations. The aforementioned movie according to her talks about how fetish some men of God can get just to get what they want. She later added that the concept of the movie was to expose those men who parades themselves as men of God. 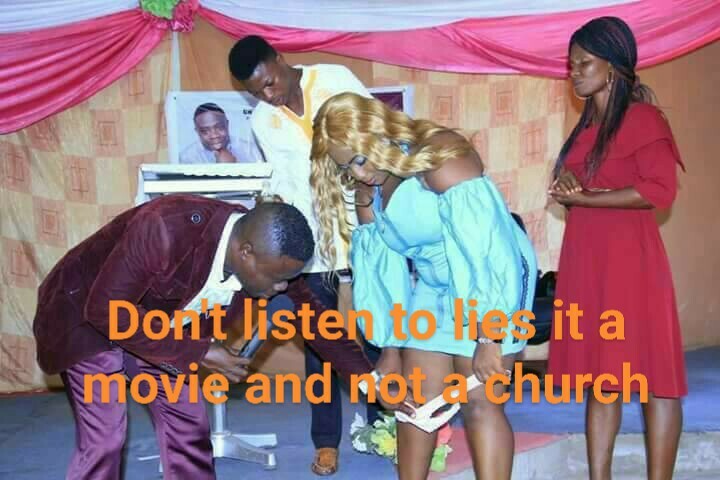 "It a movie not a church as some people are saying, pls stop spreading false news Am an actress and it my work to give a practical education to the world. Actress maame fante once told me acting is also in a form of spreading the word of God Basically, acting is just the practical aspect of evangelism..
Who knows? some church secretly might be going through if not same a similar situation And I strongly believe that every Christian who is having a similar experience, after watching the movie will come back to her/his senses. Instead of spreading false news to the world let help share the truth to save.